​The Indiana Pacers have gone out of their way to make one superfan's day. 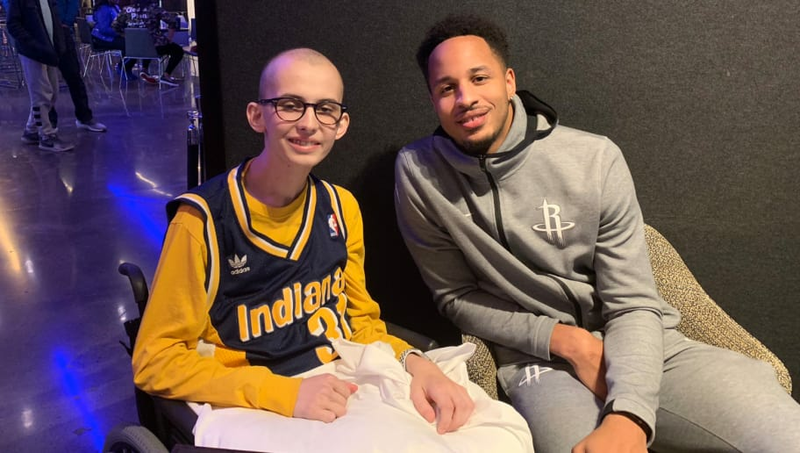 Tyler Trent, a three-time cancer survivor and superfan of the Pacers and Purdue, was appointed as honorary team president of the Pacers for the season. His first plan of action is probably the smartest move the Pacers could possibly make right now. ​​For a new president, that's one hell of a move to make for his first plan of action. Aside from being the honorary president for the Pacers, Trent is also a diehard Purdue fan. He's been an advocate in getting Purdue to donate toward cancer research. His fight with cancer has left many inspired and aided in research for future generations. Trent has been busy the past few days, between attending a Purdue football game to making the first bracket projection of the year with Jerry Palm. The guy has done it all and he's still got more to come as honorary president.